It is with sadness the we mourn the loss of 1972 Olympian Irwin Cohen. Cohen won gold medals at the 1973 and 1977 Maccabiah Games and won the silver medal at the 1975 Pan American Games. 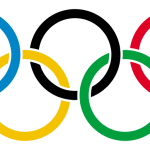 Cohen's brother, Steve, competed at the 1988 Olympic Games. Cohen coached numerous national team members, national champions, world team members and Olympians including: Bob Berland (1984, 1988), Hillary Wolf-Saba (1996), Colleen Rosensteel (1996) and Martin Boonzaayer (2000), as well as sons, RJ and Aaron, the 2008 Olympic alternate. He will be missed for his calm-but-willful spirit.